I have absolutely no idea of what the port 3 is: there is activity on pin 5, but it isn’t a serial port. Port 1 is what we were looking for: we can connect using a RS232 – TTL adapter and a terminal emulator (115000 baud, 8 bits, no parity, 1 stop bit), and… voilà! The bootlog! Reading the bootlog, we learn some useful things: the box runs OpenRG, and the bootloader is U-Boot – and is freely accessible! 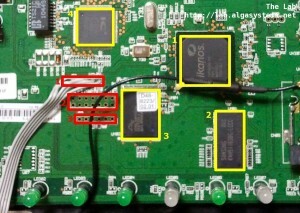 Were are working to port Open-wrt on Lbv2 and Argo u-boot is perfect for us, Sagem u-boot is not usefull. But we need some registers, cand you provide us, we have ethernet but only RX no TX. Can you share this commands? Hope you’ll find these useful. Let me know if you need something else. Hi bano, thank you for those registers. But we need a little more, we need all registers because ethernet with those registers is not avalaible. Thank you very much bano, your help is very apreciated. Let me know if you need some other register than 0-5. At which port did you connected the ethernet cable when you made “mii info” ? The command has been run via serial port, of course. I’ve to check, but I’m pretty sure that there were two ports connected, both on vboxEmac1 (the switch). Also the fiber cable was connected – but that’s connected to another phy, I suppose. Can you please elaborate on what’s wrong with that output? 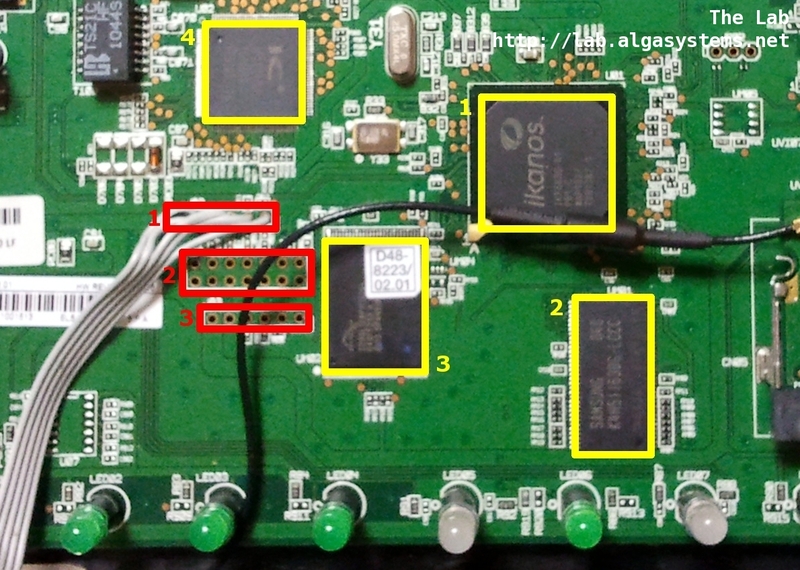 Hi bano, when you issue the command “mii info” the returned phys marked as Up means they are connected to external hardware either via ethernet cable or in your case fiber cable. I suppose you had 2 ethernet cables connected but the external hardware is down, if this isn’t the case you won’t able to ping the router or from inside the router to the external hardware, do you?. The first 5 PHYs detected are supposed to be ethernet (0x5043). BTW they seem to be down but internally by the switch itself. As you wrote, was the switch itself down, or better, was the interface marked voxEmac1 (from what I saw, only the interface voxEmac0 is up during uboot, by default). Uhm… I suppose it could be handy. Actually, it should work (even if I’m not able to see where are the solder pads for the ttl signals…). But honestly, I’d try to find more details about the items (eg. a manual), prior to buy it. ok, I built a serial cable using a CA-42 from nokia :) it works! Keep up the excellent piece of work, I read few posts on this web site and I conceive that your weblog is really interesting and has sets of excellent information…. Please, someone could put a link to the RS232 ttl adapter to buy for the connection to the modem? Someting like this should be fine. Yep, that should be fine. thx, can I use putty from Linux to access the modem? Sure: you can use whatever serial terminal emulation software you like. Is it possible to install OpenWrt in this modem? No porting has been done, as far as I know, so you’re on your own. There was somehone here stating that a porting was under working, IIRC, but I never found any further information about it.